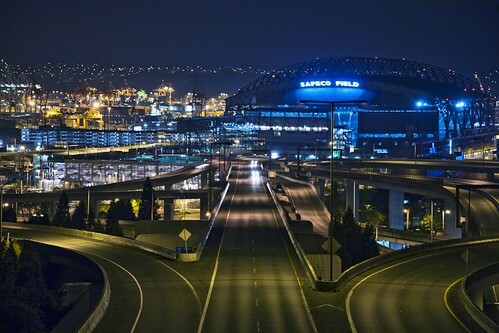 We just left Seattle, approximately 1900 miles away from Kansas City, and we have a few days off without baseball. Because of the length of this leg of the trip, we're stopping first in Gardiner Montana tonight, and then we're spending tomorrow driving from one side of Yellowstone to the other. We'll get into Kansas City on Sunday before our next game, on Monday. Currently we're on I-90 for about 600 miles. We'll be on I-90 a few more times on this trip, including cruising into Boston for ballpark number 30. 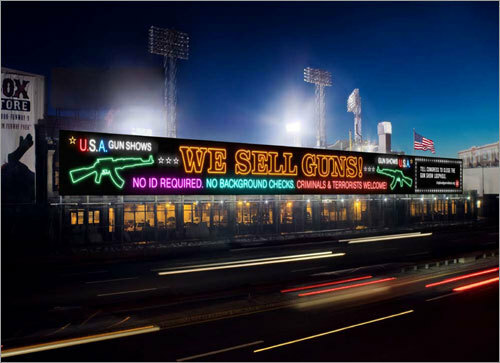 It's kind of funny seeing the start of 90 in Seattle as it passes by Safeco Field, knowing 3,000 miles away it passes a gun control billboard alongside Lansdowne Street and Fenway Park. So with all this free time and no baseball games to watch, Justin and I promise to catch up completely on reviews, uploading photos to the website, and updating the statistics page before we reach Kansas City. So you'll start noticing some reviews going up from games that happened a really long time ago... I'm very behind, but it'll happen.